reducing duplication so you can spend time doing the things you love. 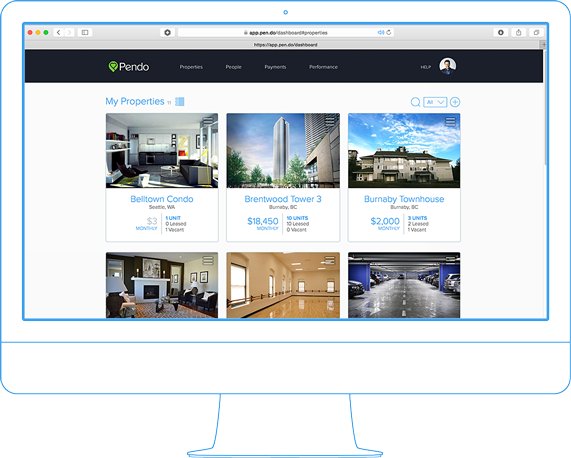 Landlords using Pendo’s free online application forms get quicker responses, avoid duplication and best of all, have zero paper to lose! 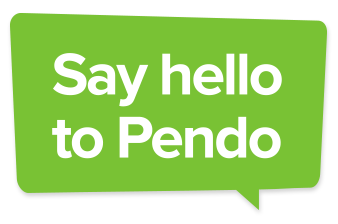 Send your soon-to-be tenants an online Lease Agreement or store your own in Pendo. Keeping things neat and tidy for you is what we do. The biggest risk for Property Managers is default and the costs associated with vacancies. 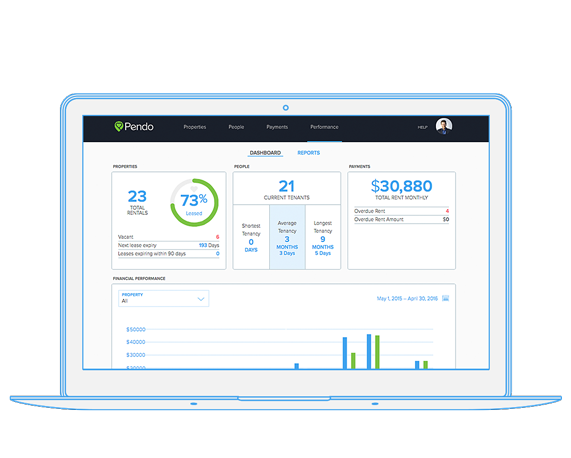 So, for your peace of mind, Pendo integrates both industry leaders – Certn and Equifax reports. Discover who is most likely to pay on-time and stay in your rental! From your tenant’s bank to yours. Without the drive. Set up or invite your tenants to pay their rent through PendoPay’s direct bank transfers. They’ll enjoy the friendly reminders and have peace of mind their rent is being paid on time. You’ll appreciate fewer trips to the bank to deposit cheques, and no more awkward conversations around late rent. Available to all Pendo landlords in Canada. Creating a Condition Inspection Report is now as easy as walking through the rental with your new tenant. Add a room. Mark its condition. Take a photo and add a few notes. 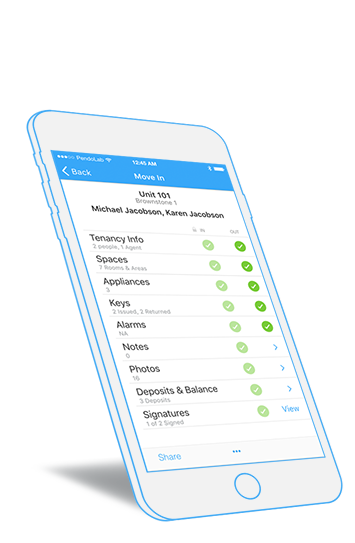 When you’re done, you’ll all have signed copies for your records, making Move Out inspections even easier! Pendo tracks all the essentials for you. Like People, Income, Expenses, Expiring Leases, Rent Increases, Vacancies and Overdue Rent… and more, like Transactions. 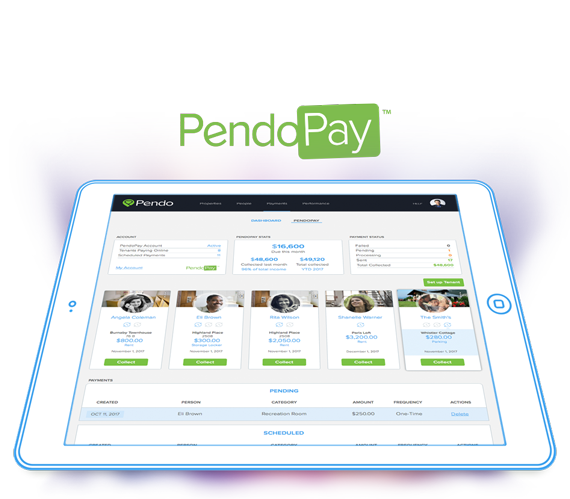 In fact, Pendo can pull in bank transactions automatically, so you don’t have to. That’s the way it should be! Stay Organized Relax. All your records are in one, central place. 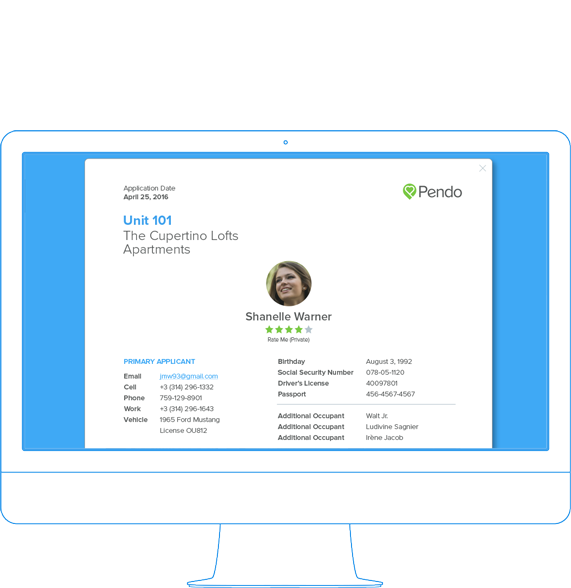 Let Pendo help with the things you need most to make your landlording experience super efficient and stress-free. You’ll get effortless organization and everything is backed up for you so that nothing gets lost. So easy to start. No set-up fees.